If you are looking for something rich and decadent to make this holiday season, then you will love this recipe! 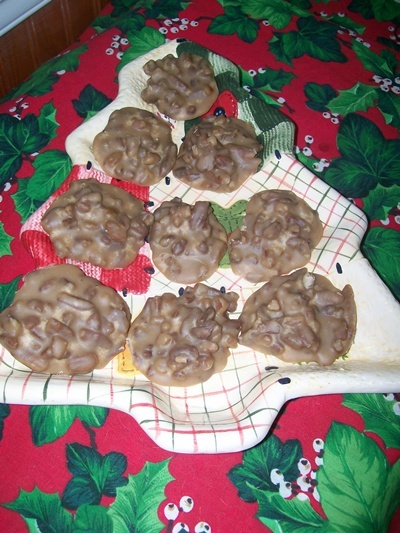 My mom makes Pecan Pralines all the time, especially around Christmas. 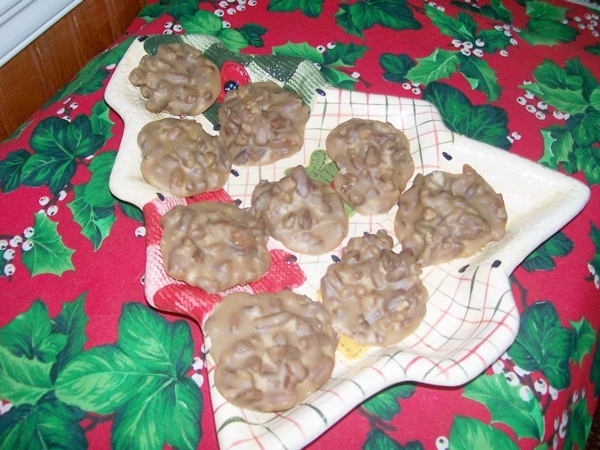 Their consistency and taste is very similar to a brown sugar fudge, and they are perfect for carrying to parties, cookie/candy exchanges, or place in gift baskets. But I must warn you, like fudge, they are also very, VERY sweet! Rolled out waxed paper, parchment paper, or greased cookie sheet. In a saucepan over medium heat, combine brown sugar, white sugar and milk. Bring to a boil. Stir in butter, pecans and vanilla. Heat, without stirring, to between 234 and 240 degrees F (112 to 116 degrees C), or until a small amount of syrup dropped into cold water forms a soft ball that flattens when removed from the water and placed on a flat surface. Remove from heat and let cool 5 minutes.Beat until thickened, then pour immediately onto prepared surface and let rest until firm and completely cool before cutting. Do you have a favorite Christmas treat? Link it up here. This looks too good. Love pecans. Thank you for sharing. These look wonderful, I bet they are so rich! We are having a cookie recipe swap linky party and I would love for you to share these ; ) It is at swtboutique.blogspot.com if you would like to. Thanks so much. That looks too good. Really like pecans. We are having a piece of food recipe swap linky bash and We would love for you to share these; ) Many thanks for giving. Oh my gosh – so delicious! I have to try these!